Jun 13, 2016 Mr. and Mrs. Cates, We appreciate the opportunity to address your conerns. Your comments were forwarded to management and we were able to provide a solution that met your needs. 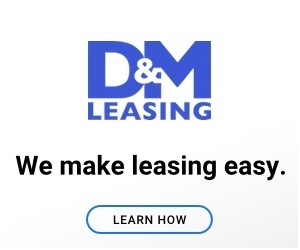 We value you as a D&M Leasing customer and look forward to continuing to earn your business. If you have any questions contact customer service at 877-511-0101. Wow where to begin on this whole messed up situation. So two years ago we came to d and m leasing shared with our rep Hailey Jackson about our family and our need for an Suv for our family as we traveled back and forth from work, school, and to the hospital for our at the time infant son who had Neuroblastoma a rare children's cancer. So needless to say we were a busy family that had a lot on our minds at the time. During the process she told us exactly what we wanted to hear. Miles don't matter, we will make sure this is a good deal for you, I want to help you and your family in this time of need... She even came to our house held our sick son and prayed with us. What a bunch of lies!!!! To start off the car was not exactly what we wanted but she said she would check on us often and check the millage and we would trade up before it was harmful to us. Well she never checked on us not once. So Last year my husband was placed on disability because of his back so now I have a son with cancer and a husband who can't work. So at that point, My husband emailed our rep and asked for help can you get us in anything different to help lower our car payment and she came back and said nothing I can do sorry and left it at that. We said well if we had to walk away from the car what would that look like or what Is our payoff if we decided to go try to get a loan on our own and she would not respond. 3 emails like that and nothing not a single response so we went above her head and found a manager named Dale, told him our story, went through all of the process and he came back and said we have a solution we can lower your car payment by a 100 a month and get you 2 months of no car payment. We will get in contact with you early next week when the president is back and we have his approval. Well that was 3 weeks ago. My husband since has called and emailed and no one will respond. So last week we decide to go up to a dealership and just talk have them pull the specs and see what they can do to help us. Come to find out why no one will help is we are 11,000 upside down and the jeep is a 2014. It is so sad that because of the lies of Hailey Jackson and Dale at d & m auto lease my husband and I are going to have to surrender the car and have no vehicle to take our sick son back and forth to the hospital with. Thanks for helping a family in need D&M auto lease! Review #683258 is a subjective opinion of sstakvel. It sounds to me that you didn't do your research on leasing and you didn't read your contract. So now you are trying to blame D&M because you took a car you didn't like and they can't trade you out of it. No one does a lease where miles don't matter come on, and I don't believe anyone would tell you that who works in the automotive business. Besides, it doesn't sound like you read your contract. I feel bad for your family and all but if you're in the middle of a lease you can't cancel no matter where you lease from, unless your willing to pay the penalty. This is just another, I'm mad so I am going to complain because I didn't get my way. Shut man. You don't know anything about these people and you are just trolling the internet. Get a life loser. Sounds to me like you took out your personal issues on a company. Regardless if it was d & m or a dealership. you would be putting out the same bad review.